Picture Book -Winner of Mom's Choice Gold Award! — Golly Gee-pers! A hilarious book about manners. Easy reader print. 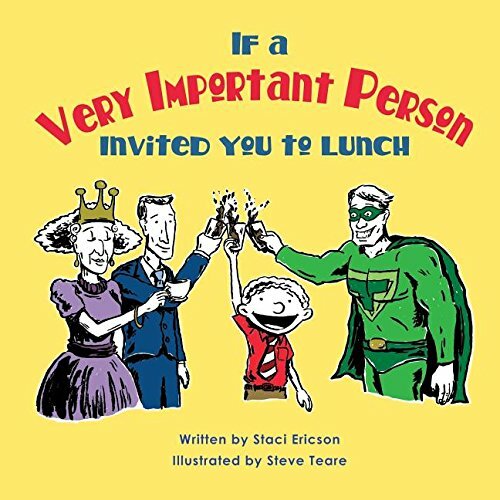 What if a very important person invited you to lunch? How would you feel? What would you wear? Would you wash your hands and your face? What would you do with your hair? This story follows one boy’s hilarious adventures into the world of dining with VIPs. Through simple rhyme and picture children will explore their internal motivation to use good manners. The story, while being entertaining, encourages children to draw their own conclusions and is meant to stimulate dialogue. The illustrations are intentionally ambiguous as to race or skin color. This story will be a great fit for parents, librarians, teachers, and other caregivers. Print is in early reader font.